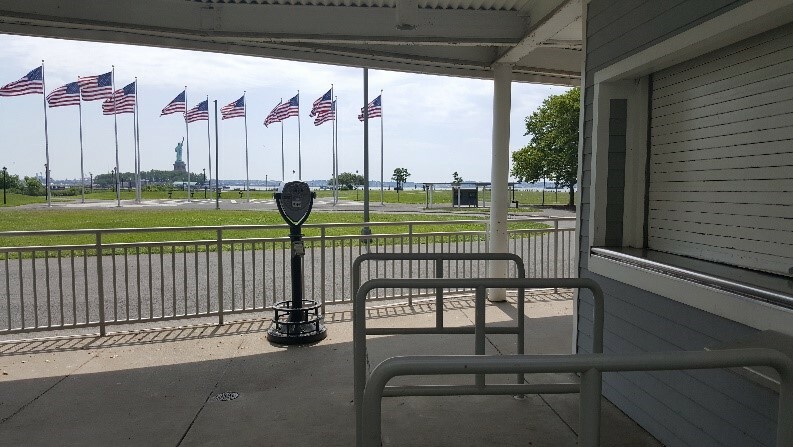 (17/P105) TRENTON – The state is issuing a Request For Proposal to bring high-quality food and retail concessions to three locations at Liberty State Park in Jersey City, Hudson County, the Department of Environmental Protection announced today. The plan calls for a single operator to provide high quality “grab and go” foods as well as a gifts or souvenirs stand with New Jersey-themed merchandise in response to visitor requests to the State Park Service for more amenities at the park. 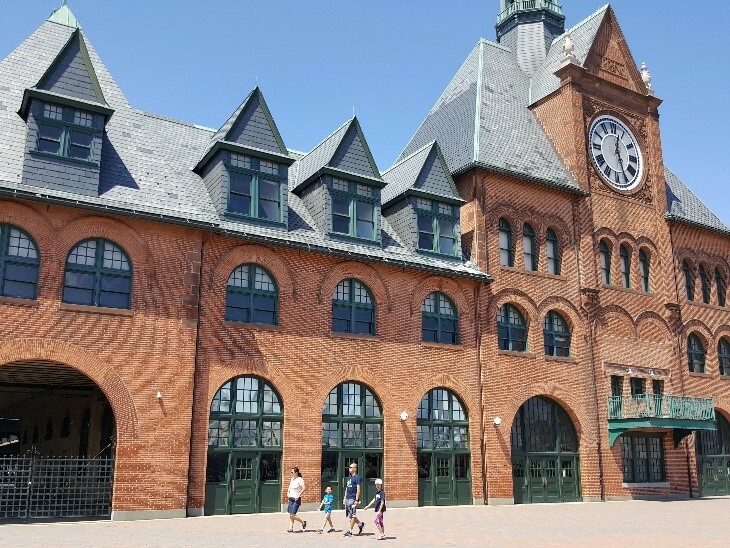 Vendors would be located at the Central Railroad of New Jersey Terminal Building, which was restored in 2014 and is on the park’s north end; at the Green Park Playground Area in the middle of the park; and at the Park Administration Concession Stand near the U.S. Flag Plaza and Liberty Island. The term for Liberty State Park’s existing agreement with current mobile food concessionaires expires December 31, 2017. DEP’s Historic Preservation Office will review all plans for vendor spaces inside the terminal building. DEP’s Office of Leases and Concessions will consider vendor proposals that include beer and wine sales with food. Any alcohol purchases and consumption would be limited to designated areas. Renovation of the Central Railroad terminal resulted after Superstorm Sandy’s record storm surge five years ago caused extensive water, electrical, and structural damage. Mechanical and electrical equipment were elevated to avert future damage. Skylights, doors, windows, roofing and the structure’s distinctive cupola were repaired or replaced as part of the exterior restoration. From 1892 to 1954, the terminal was the largest rail hub in the New York metropolitan region. Of the more than 12 million to 17 million immigrants who passed through Ellis Island during those years, approximately two-thirds embarked on their new lives on trains departing from the terminal. Additionally, as many as 50,000 people per day used ferries and trains served by the terminal. More than 4 million people annually visit Liberty State Park, which encompasses some 1,200 acres. It is the most popular destination in the state park system. The park offers a two-mile waterfront walkway known as Liberty Walk, the 9/11 Memorial and Grove of Remembrance, the Liberty Landing Marina, the Green Park playground, nature trails, wildlife habitats, and other recreational amenities. Hundreds of thousands of people use the ferries at the terminal to access Liberty Island, Ellis Island, and Manhattan’s Battery Park. The park was dedicated on Flag Day, June 14, 1976. Bids for vendor services will only be accepted from those who attend and register at a mandatory pre-bid meeting and site visit to be held at the Liberty State Park Office at 11 a.m. Thursday, November 2. All bids must be received by the DEP’s Division of Natural & Historic Resources, Office of Leases & Concessions, no later than noon on Monday, December 4. For additional information on the Request for Proposal and to obtain a bid package, visit: www.state.nj.us/dep/parksandforests/parks/business_ops/current_leases.htm or call (609) 633-7575.